Psssst. Want to make your kid think you're a sorcerer? I've got a trick. First, you will need a magical machine called a printer. Then when the child is near your computer, ask, "Hey, what would you like to colour right now? It can be anything. Your favourite character? Spain during the Cold War? A hot dog?" Your kid might respond with scepticism, but tell him to trust you. 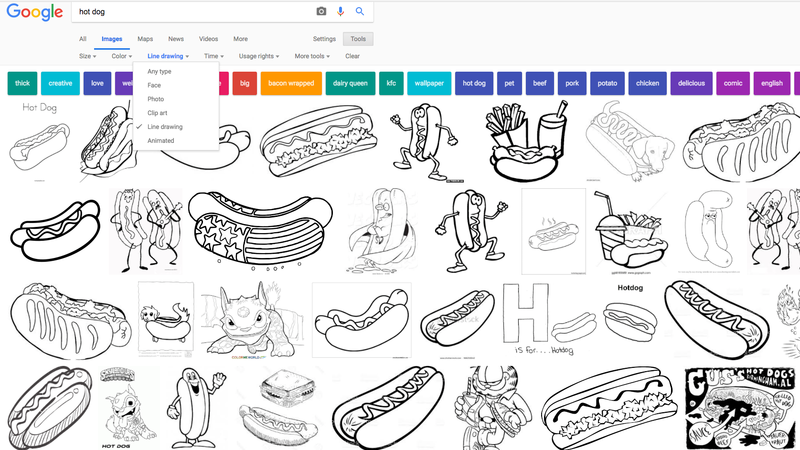 Then do a Google image search of his selection, and under Tools, click "Type," and select "Line drawing." Choose a high-resolution image, print it out, and hand it to your child with some crayons. Free colouring pages any time. Your kid's mind: Blown. The first time I printed out an Elsa colouring page for my daughter, she stood there in shock, and then ran downstairs, yelling, "Daddy, Mummy can make any colouring page!" I felt like such a boss.